The Subaru Forester was already an impressive small AWD SUV--and for 2019, Subaru has redesigned it to be even better. 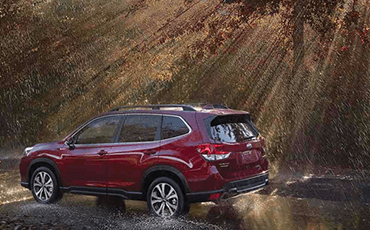 While it makes notable improvements in many areas, it retains all the things that made the old Forester a true Subaru classic, including its all-wheel drive, its longevity (97% of Subaru Forester vehicles sold within the past ten years are still on the road today), and its quality. 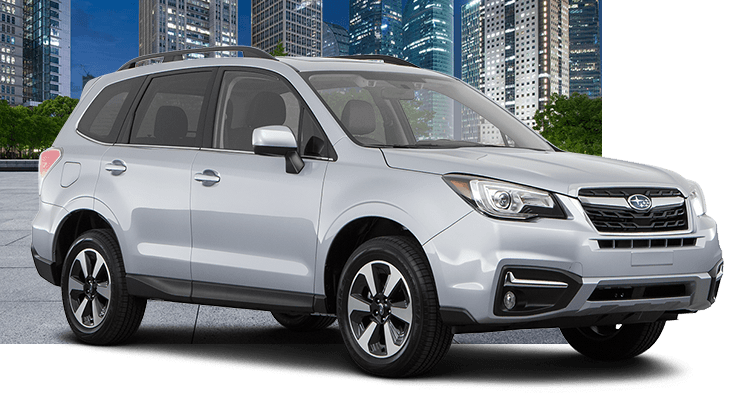 Subaru Superstore is proud to be your local source for the Subaru Forester. This article will help you learn more, but we also recommend taking a test drive to experience it for yourself. If you like the Subaru Forester but need even more space for passengers, check out the 2019 Subaru Ascent. And if the 2019 Subaru Forester is a little on the big side for you, consider the 2019 Subaru Crosstrek. It may be a small SUV, but the 2019 Subaru Forester is remarkably spacious. It manages to have greater interior volume than the previous design, with 111.9 cubic feet of passenger volume and 35.4 cubic feet of cargo space. And with 41.2 inches of front headroom, the 2019 Subaru Forester is a great SUV for tall people. Need more room for gear and less room for people? 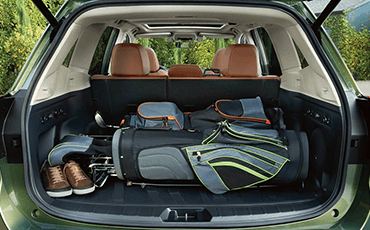 Fold down the rear seats to expand the cargo volume to 76.1 cubic feet! Underfloor storage and grocery hooks make organizing cargo even easier. The interior dimensions make the interior of the Subaru Forester comfortable, but there's so much more. Take the standard STARLINK™ multimedia system, for example. The intuitive touchscreen looks great, and it lets you connect to Apple CarPlay™ and Android™ Auto. Want even more cool features? Available voice-activated navigation and 4G LTE Wi-Fi make staying connected easier than ever. When Subaru designs a vehicle, the engineers put safety as a top priority. That's why the Subaru Forester is built on the Subaru Global Platform. This uses lots of high-strength steel that creates a smoother ride--and also a safer one, thanks to its powerful safety cage. If you should happen to get into a collision, advanced airbags and whiplash protection front seats will help lessen the damage to you. 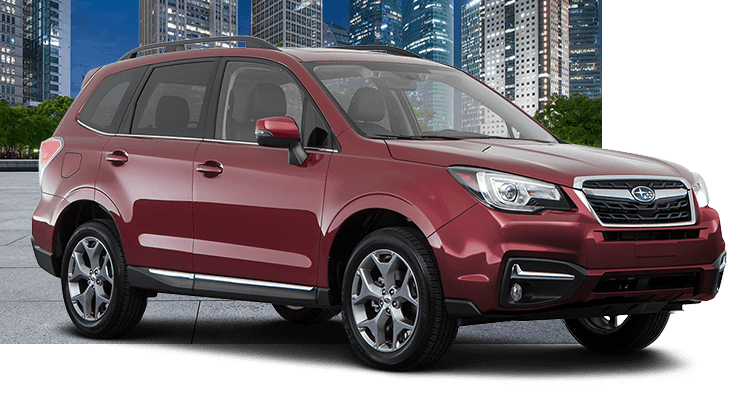 However, since accidents are best avoided, the Subaru Forester also comes with features like Symmetrical All-Wheel Drive, brake assist, a tire pressure monitoring system, and a brake override system. Every new 2019 Subaru Forester now comes with Subaru EyeSight®, a driver assist system that has been found to reduce rear-end collisions with injuries by up to 85%! Other driver assist technologies like High Beam Assist, Blind-Spot Detection/Rear Cross-Traffic Alert, and Reverse Automatic Braking are also available. What's more, the 2019 Subaru Forester is the first-ever Subaru model to have the available DriverFocus® Distraction Mitigation System. This system keeps tabs on your driving and warns you if it seems like you're drowsy or distracted. 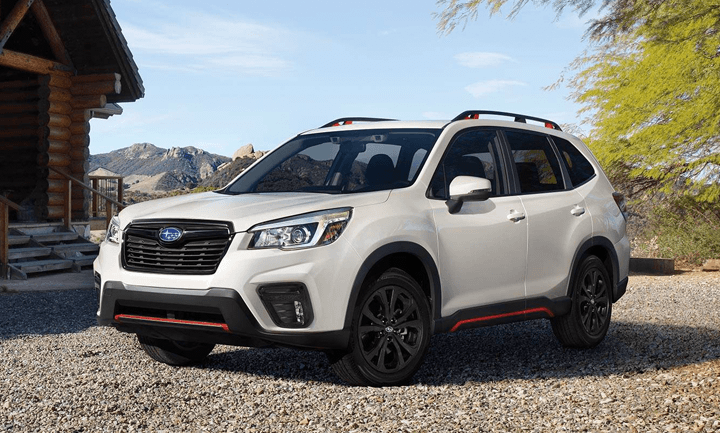 The 2019 Subaru Forester is powered by a SUBARU BOXER® engine that generates 182 horsepower, while still giving this small SUV up to 33 miles per gallon. The horizontally opposed design of the engine means that the Subaru Forester has exceptional balance. Versatility is the name of the game for Subaru. The Symmetrical All-Wheel Drive that comes standard on the Subaru Forester makes it particularly capable for off-road exploration, as does the 8.7 inches of ground clearance. 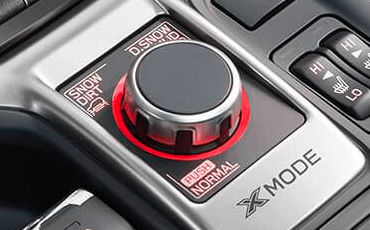 For more off-road capability, consider adding X-MODE® and Hill Descent Control. Subaru vehicles are the perfect choice for Chandler, Phoenix, and beyond. 97% of Subaru models sold within the past ten years are still on the road today, so in addition to being popular, they're also long-lasting. The Subaru Love Promise further demonstrates how Subaru is dedicated to making the world a better place, from the local community to the environment. Subaru Superstore is proud to be your local source for new Subaru vehicles. We have an extensive inventory filled with new Subaru models for you to choose from. As an Eco-Friendly Dealer, we demonstrate our dedication to improving the community and the environment. 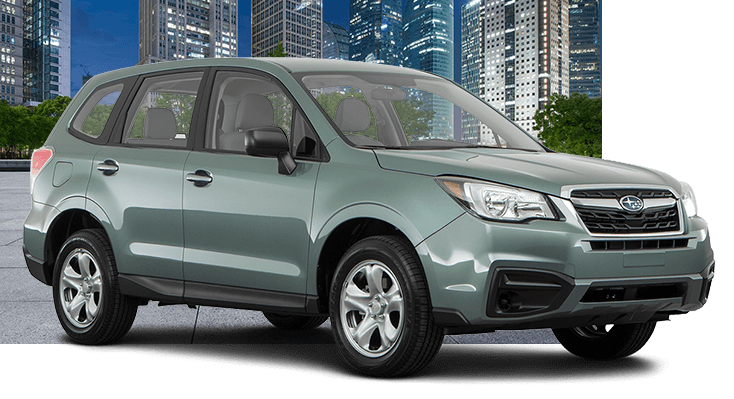 The entry-level Forester model provides all the utility you need to get around. LED headlights light the way while the 60/40 split folding rear seats allow you to transport extra passengers or tons of cargo, depending on what the day calls for. The Premium trim level lives up to its name with a leather-wrapped steering wheel and power-adjustable driver's seat. You'll also love the open feeling you get from the panoramic moonroof. This trim level even comes with a mobile Wi-FI hotspot so you can keep your favorite mobile devices effortlessly connected. When you're looking for some extra features as well as a unique, bold exterior look, the Subaru Forester Sport is the one for you. It gets black-finish aluminium alloy wheels and orange exterior accents around the bumpers, rocker panels and roof rails. The interior even gets durable sport cloth upholstery and dual USB charging ports in both the front and rear rows. 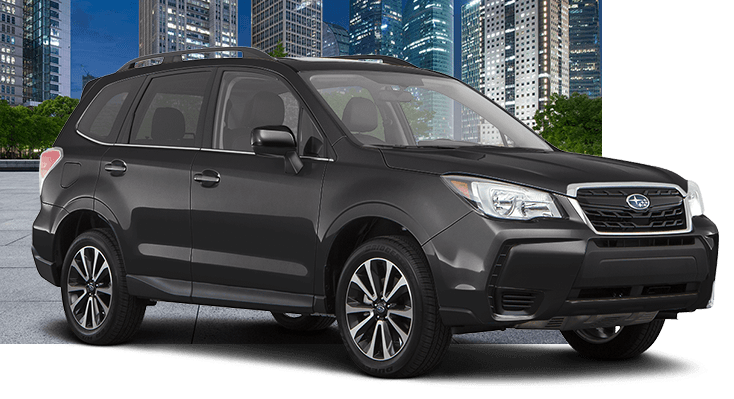 Step up to the 2019 Subaru Forester Limited to get some of the most desirable features. Such features include a power rear liftgate, leather-trimmed upholstery, dual-zone automatic climate control and a larger infotainment display. 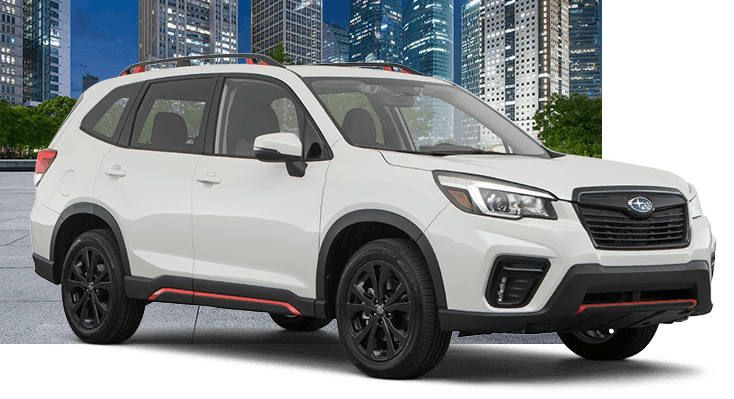 The 2019 Subaru Forester Limited also gets Blind Spot Detection and Rear Cross-Traffic Alert to take the guesswork out of making lane changes and reversing in busy parking lots. 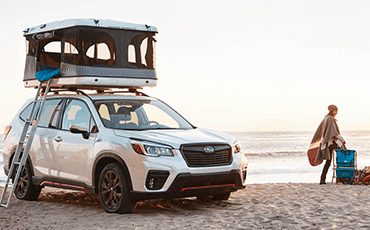 Finally, the top-of-the-line 2019 Subaru Forester comes with all these features plus some cutting-edge equipment that you just won't find on lesser SUVs. 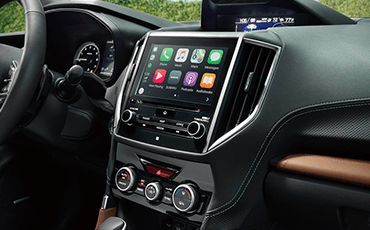 The 2019 Subaru Forester Touring provides built-in navigation, a premium audio system by Harman Kardon and satin chrome exterior accents. It's more luxury than you might expect from Subaru, for less than a fully-loaded SUV from its luxury brand competitors.